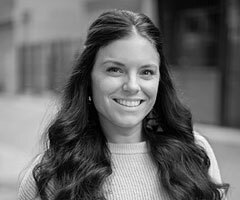 Originally from the Pacific Northwest, Jess knows marketing is about understanding people and building awareness. Studying at The Art Institute of Portland and Boise State University in Marketing and Visual Merchandising, Jess’ analytical and creative eye makes her a perfect fit for the Quest Groups Marketing team. When Jess isn’t busy analyzing industry trends and demand, you can find her partaking in all Idaho has to offer, including skiing and white water rafting with family and friends; her favorite pastime, drinking a good glass of wine! Why do you love what you do at Quest Groups? I create relationships with people across the country every day, that’s pretty amazing. What college did you attend? The Art Institute of Portland and Boise State University – GO BRONCOS! !